Founder and mastermind of the band is none other than German exceptional drummer Bodo Schopf, who was an integral part of the legendary prog rock band ELOY for many years, He also drummed for greats like The Michael Schenker Group, Eric Burdon, Udo Lindenberg and Jack Bruce - not to forget his involvement with the iconic glam rockers The Sweet. Bodo has had several chart placements in Japan, USA, Germany, England, Spain and Italy, and received gold and platinum awards. The exceptional singer, David Readman (Pink Cream 69, Voodoo Circle, Almanac and Tank), got to know Bodo Schopf on a tour in 2012. He played the Englishman some of his freshly composed tracks, and Readman was so enthusiastic right from the start that he wanted to sing the songs. However, shortly thereafter, David emigrated to Holland and Bodo to Sardinia, so the two could not start working on the songs until 2014. 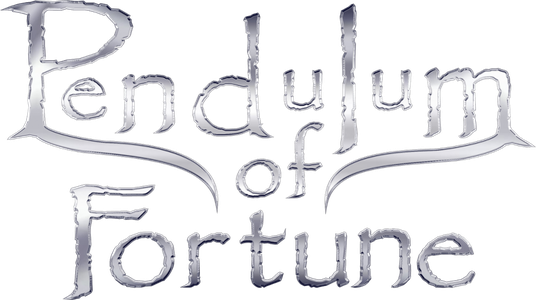 After the first recordings, David and Bodo agreed to continue this as a band, this was the birth of "Pendulum of Fortune". With bassist Franky R., Schopf got a good old acquaintance on board, he also had played together with the The Michael Schenker Group and also with such great artists and bands like Ronnie James Dio, Kingdom Come and Vanden Plas. While searching for a solo guitarist, Bodo came across the incredible guitarist Vladimir Shevyakov, a studio and live musician from Moscow, studying classical guitar and playing with well-known Russian artists. Bodo sent Vladimir 2 songs over the internet, he was totally enthusiastic and within an hour he made his commitment as the solo guitarist at Pendulum of Fortune. Now missing was the fifth man, who plays guitar-, keyboard parts and background vocals, this was what Bodo Schopf found in Matze Ehrhardt, who made a name for himself with his incredible stage performance. Matze played in the band Crime, their CDs Hard Times and "No Cure" made it into the charts in Japan. He can also be seen as "Angus Young" in the AC / DC tribute band "The Jack" with his incredible show. "Searching For The God Inside" is the title of the debut CD of Pendulum of Fortune, it was produced by Bodo Schopf in his recording studio in Sardinia and was released on 20th of October 2017 by in-akustik. The videos for the CD were shot on Sardinia, in Germany and Moscow. Here are some experts from the press reviews for the CD.